I envy my friends in Vancouver who can savour the “locavore” lifestyle to the full; it’s not difficult to eat local, in-season produce when you live close to sources of fresh seafood, juicy orchard fruit, and fine wine. We prairie folk might be reduced to gnawing on potatoes & turnips in the winter. 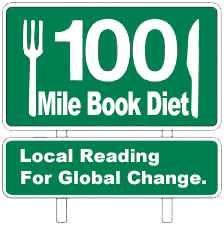 Fortunately, being a “loca-lector” and consuming fresh, high-quality local books is much, much easier! Manitoba is blessed with such a fertile writing & publishing climate that you never have to go hungry for a good read. A (very) few of my favourite Manitoba-grown authors include Margaret Laurence, Miriam Toews, and Michael van Rooy. Last Sunday, April 17, the Manitoba Writers’ Guild and the Association of Manitoba Book Publishers presented the 23rd annual Manitoba Book Awards. If you haven’t sampled a local book in a while, why not try one of the winners or nominees? The full list is up on the MWG’s website. Need another way to discover local books to your taste? You can find past winners of the MBA in the Library catalogue; browse through the latest Prairie Books Now newsletter online or at a local library or bookstore; or ask your local library staff to recommend a satisfying read. This entry was posted in Miscellaneous and tagged Danielle @ WPL, local authors, Manitoba Book Awards. Bookmark the permalink. This reader’s salon just discovered today is outstanding and KUDOS (tris !) . It has all your earmarks of a chic alors national level of excellence. I was crying and laughing with delight while pouring through the contents of the fine books you ? perhaps recommended such as how to become a literary genius in a non-leap year. Felicitations! Je suis fier de vous. I can’t seem to look at this site from my smartphone!! !